Pepperidge Farm® Goldfish® Cheddar Baked Snack Crackers are baked with real cheese. 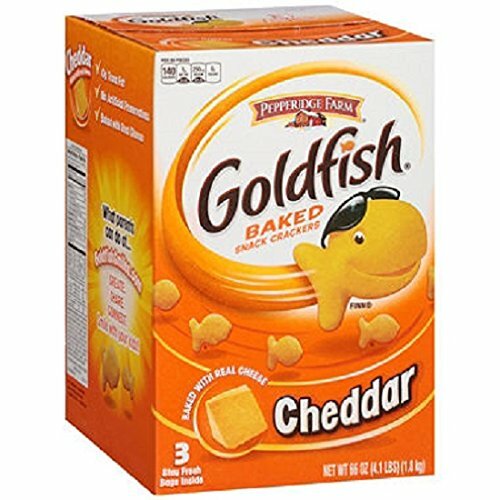 This box of Pepperidge Farm® Goldfish® Cheddar Baked Snack Crackers contain 3 stay fresh bags! If you have any questions about this product by Pepperidge Farm, contact us by completing and submitting the form below. If you are looking for a specif part number, please include it with your message.